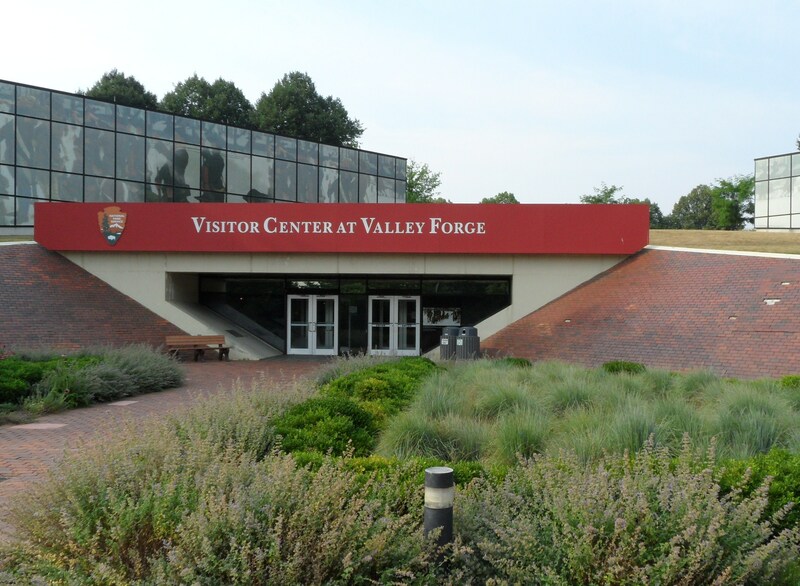 Valley Forge National Historical Park consists of 3,600-acre of rolling hills, forests, and sprawling fields. It was here that General George Washington settled down in a winter encampment in 1777 and forged his Continental Army into a fighting force. 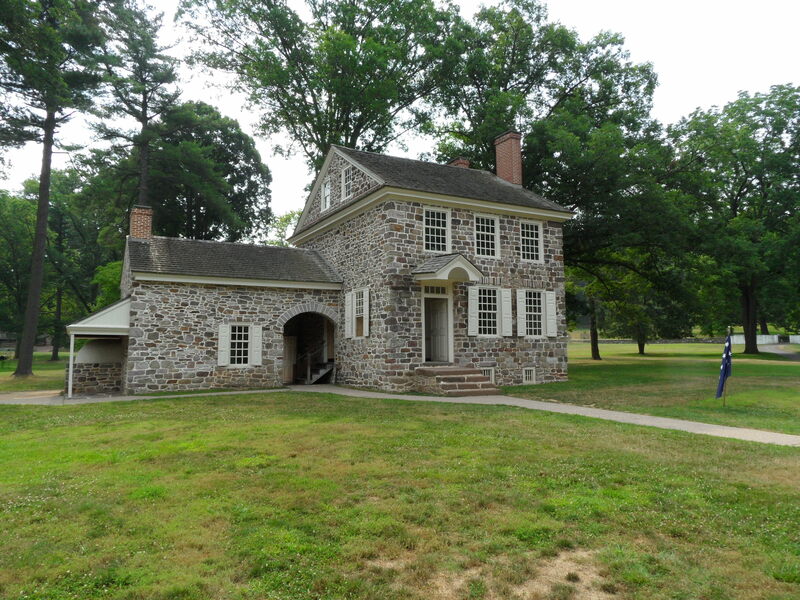 Also, Valley Forge is my inspiration and the starting place of Sam’s adventure in my upcoming WIP. One can take a self-guided tour of the park either by driving around the tour road loop or you can stop and take a few of the foot paths. Being a hot day, I opted for the drive. But, in one day, I was able to explore the grounds thoroughly in two trips around the loop and still there are probably hidden treasures I didn’t get to see. It’s an amazing landscape. 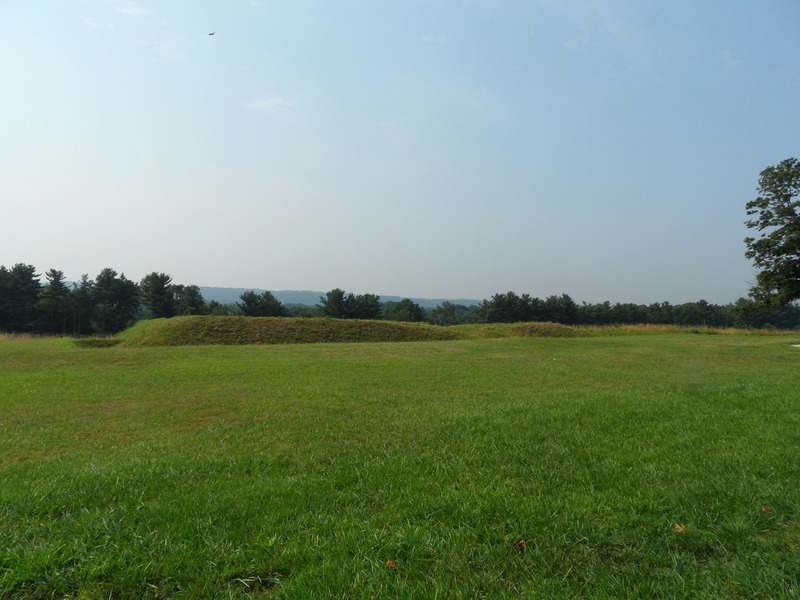 I was impressed by the different brigade encampments in which the Continental Soldiers stayed. They had cut down the forest to construct wooden housing (and for fuel), turning the forested lands into a rolling grass lands. 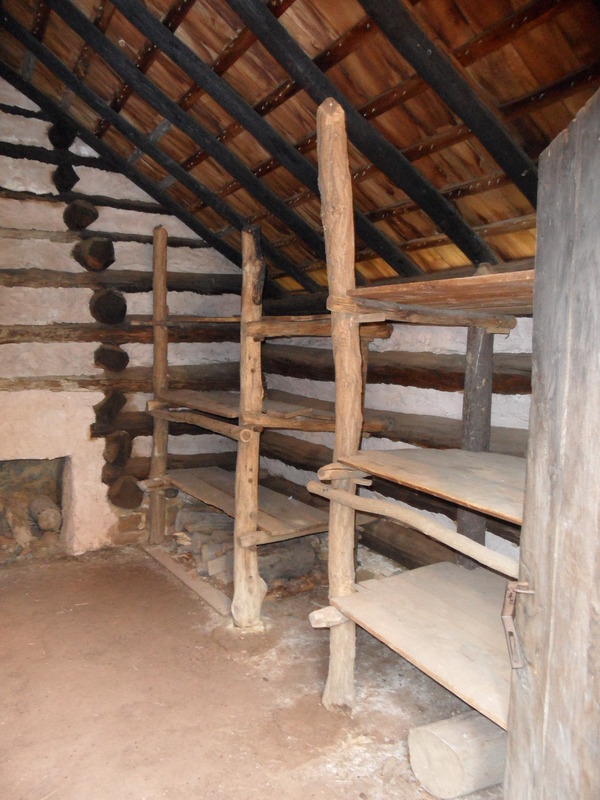 Each hut fit 12 men, who were stacked in three in each corner, with a small fireplace in the back of the cabin. Which state the brigade was from influenced the comfort level of the men during the harsh winter. General George Washington took up residence in the Potts house which became Washington’s Headquarters. The train station that was built nearby has been converted into a small museum where you can learn about General Washington’s inner circle, his most trusted officers. I loved touring the Potts house and stable. But, the icing on the cake was that there is currently an archaeological dig right behind the Potts house. One archaeologist even came over and showed me shards of a plate they unearthed. However, what really intrigued me were the Commander in Chief’s guard huts. These men were hand selected to protect the Commander in Chief, his official family, and his equipment, supplies, and papers. Another exciting fact is that it was here in Valley Forge that two of my heroes finally meet: General George Washington and Baron Von Steuben. Von Steuben was originally apart of the Prussian Army. He came to Valley Forge after Benjamin Franklin asked him to come to America and help train the Continental Army. Only one problem, he only spoke German and French. But, that didn’t stop him. 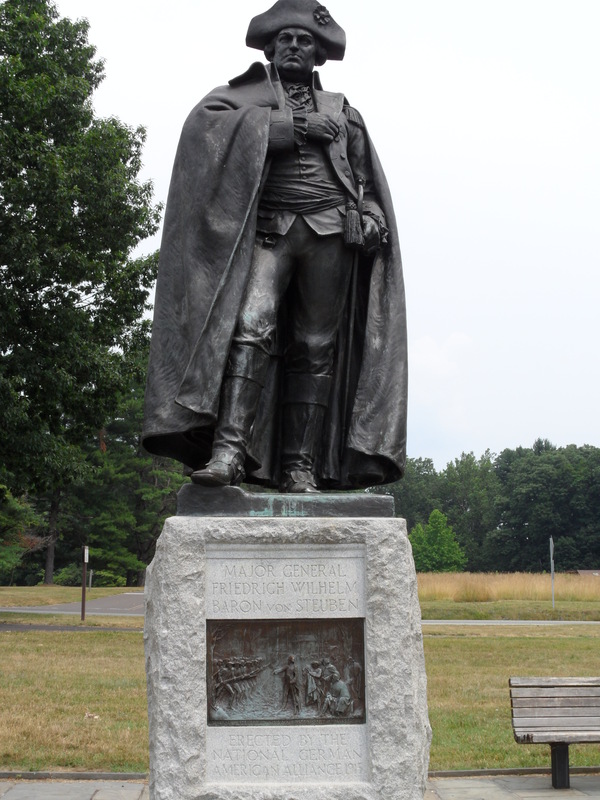 Through vigorous work and writing a manual that was translated and passed out to all the troops, he was able to turn Washington’s men into a fighting force. Yes, he was tough, but I think that’s what I like about him. Then again, I’m part Prussian. If you get to visit Valley Forge, take the time to enjoy the sites and to get to know the people. There is an event that takes place called ‘Once Upon a Nation’. There are three stations where a story teller enchants you with a tale from the Revolution. They are amazing people and the stories they tell are awesome! They recommended some books to help me in my research. Even the park rangers were extremely knowledgeable. I enjoyed talking to the cute ranger at the Washington’s Headquarters as I took notes and wrote out concepts for my WIP. 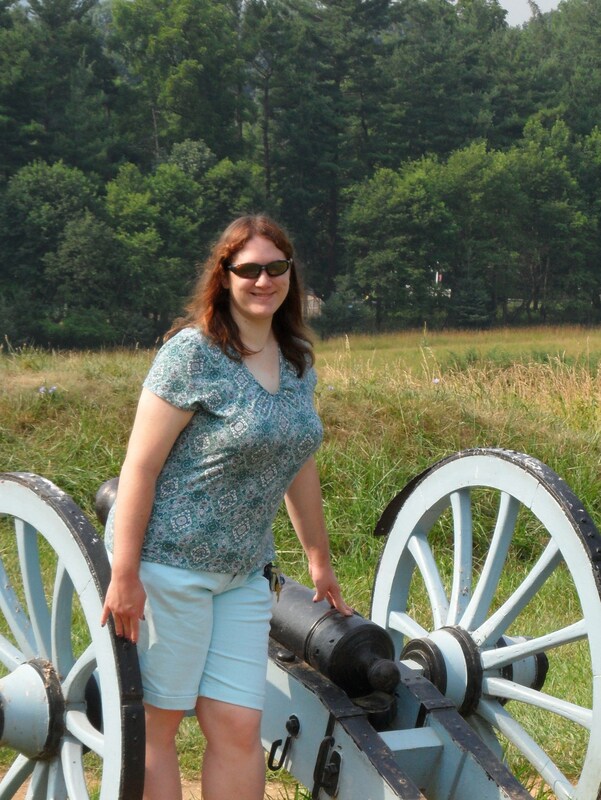 Valley Forge National Historical Park is a wonderful and enchanting place to visit. If you are ever in Pennsylvania or are planning an American history tour, definitely stop by! Thanks for sharing Valley Forge – I agree that Washington was an incredible example of a gentleman and statesman, a military leader and a farmer. Washington is a tough act to follow.